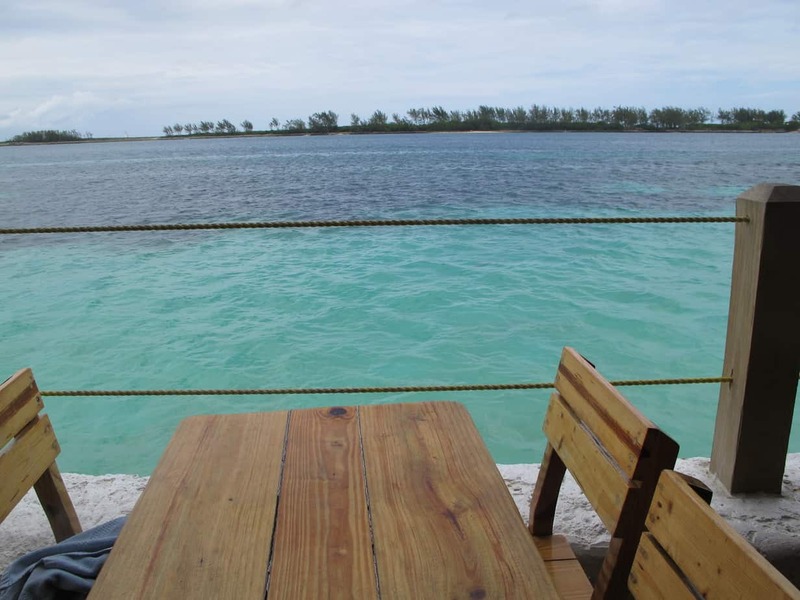 Going to the Bahamas but want to experience Nassau without cruise excursions? I’m here to help! I went on an incredible trip with some of my closest friends from college as we celebrated our graduation. The first leg of the trip was a four night Royal Caribbean Cruise that set sail from Miami – overall the cruise was a great deal (~$100 a night which included the pool, hot tub, entertainment, unlimited breakfast, lunch, fancy three course dinner, and 2am pizza…) but that definitely didn’t mean I had cash to spare. 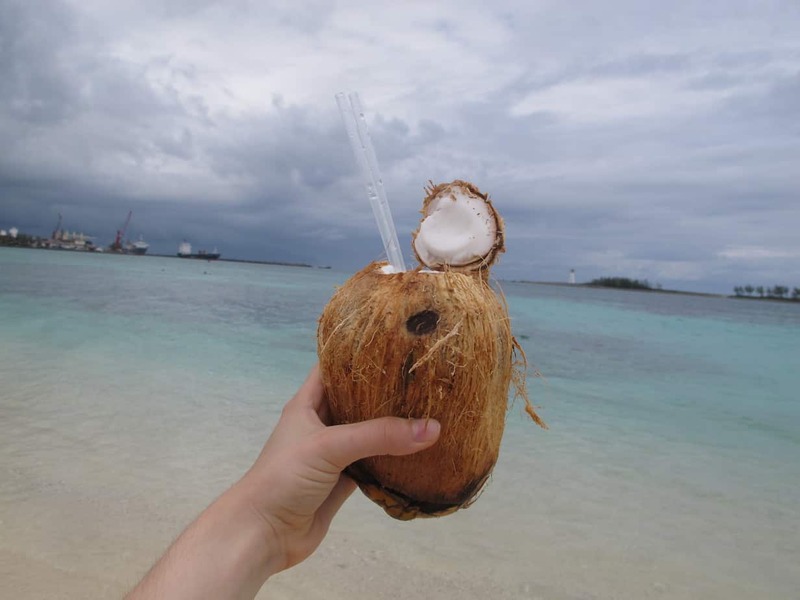 If you’ve ever been on a cruise before though, you’ll know this…it is very, very, very hard not to spend extra money. Cruises are sneaky!!! 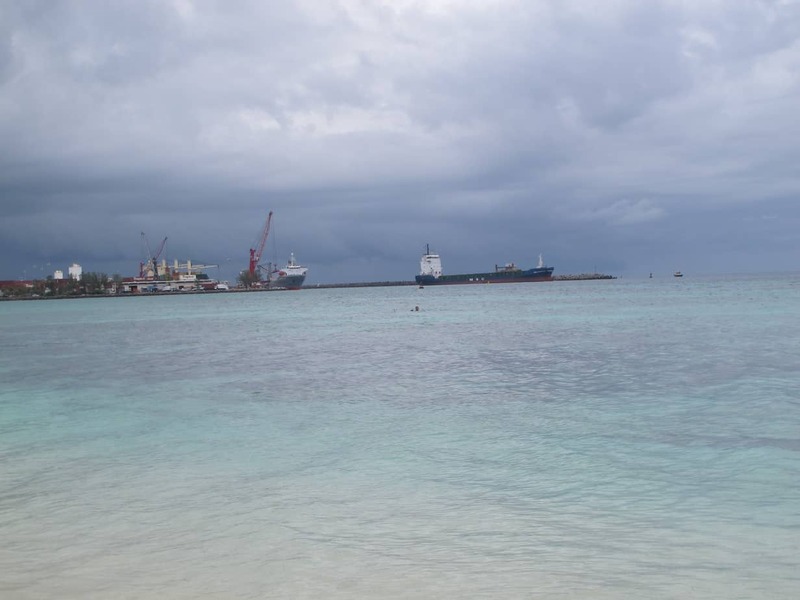 One big reason behind this is that cruise ports, where generally not just your cruise line stops, but ten other cruise lines as well, become the dreaded tourist trap. 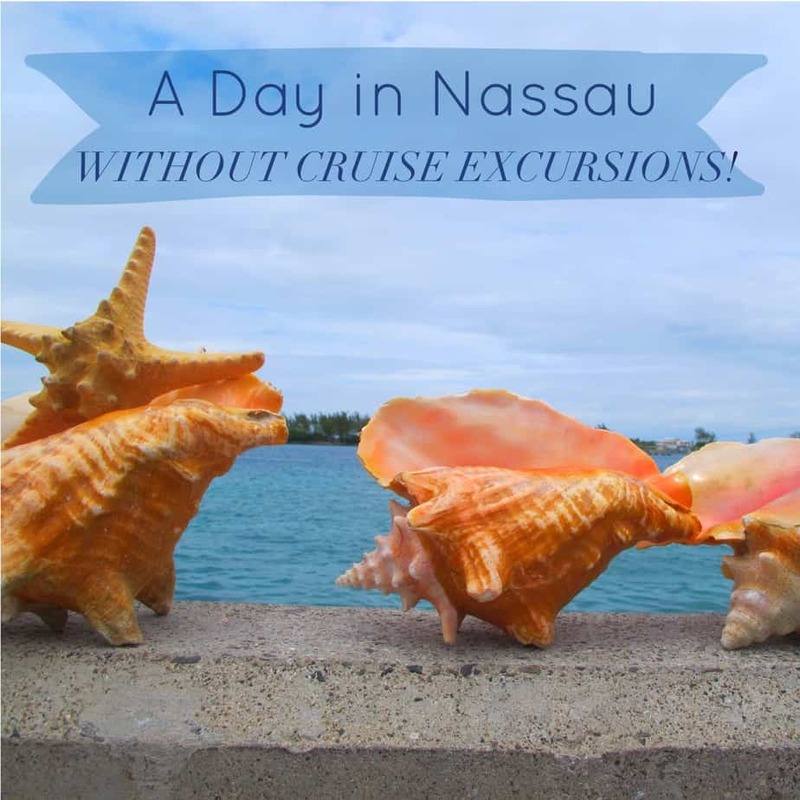 See below for my day through Nassau without cruise excursions, and my top 7 things to do on the island! 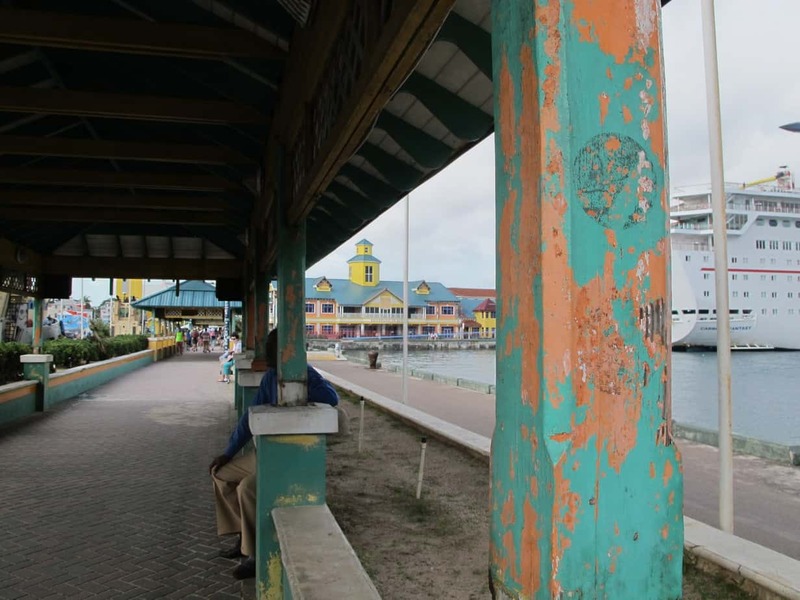 In Nassau, the capital of the Bahamas, you basically have to walk through a quarter mile of people heckling you to buy their tours and their wares and whatever else before you get from the cruise port to the actual city. Do not buy into it! It’s a trap! Anything you buy before you get into the actual town is a rip-off, and those cute wood workings? They were undoubtedly made in a sweat shop in China, so put your wallet away before someone sows you a tale about how their brother carved it from a palm tree that saved his life. 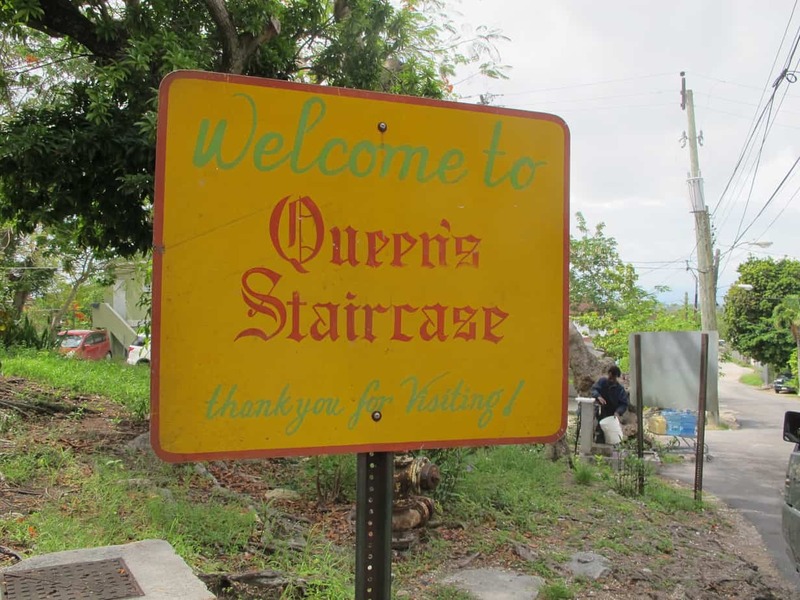 After the overwhelming entry into the city of Nassau, we opted to visit the more remote Queen’s staircase first. Located a few blocks back from the main street of Nassau, you have about a 10-15 minute walk from downtown through some more residential areas until you reach the site. The stairs are at the end of a long corridor with high stone walls on either side, covered in plants. Because of the stone, it’s quite cool in here and the perfect place to cool off from the unceasing Bahama sun. Also, because of its more remote location, there are a lot less tourists and it’s more relaxing to meander through the site. Can you see the stairs at the very end? 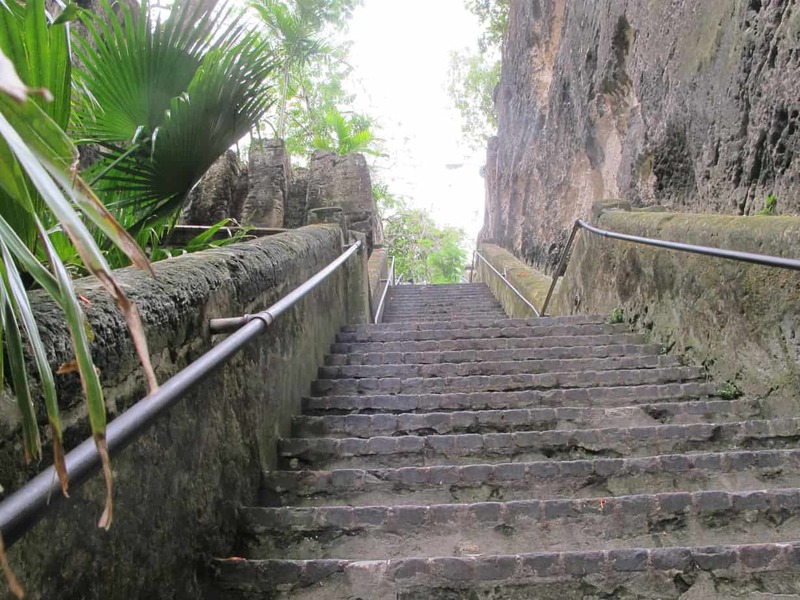 People from Nassau also refer to the stairs as the 66 steps. They were originally built by slaves as a monument to Queen Elizabeth, so although this is a historical landmark just remember when you visit that it’s also a landmark of the oppression of the Bahamian people. The 66 Steps is FREE! Usually there is at least one person staked out at the top of the stairs giving free tours as well, so make sure to tip! 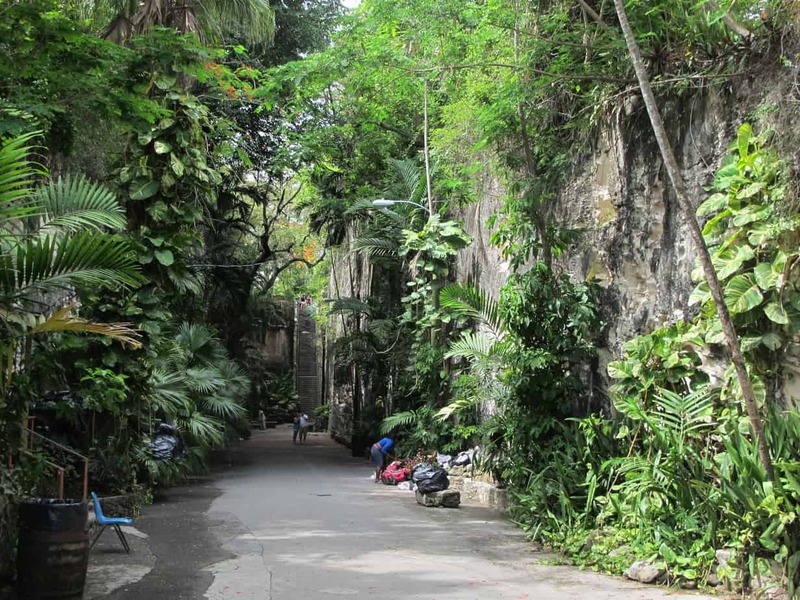 This famous fort is located right at the top of the Queen’s Steps, so combine your visits! 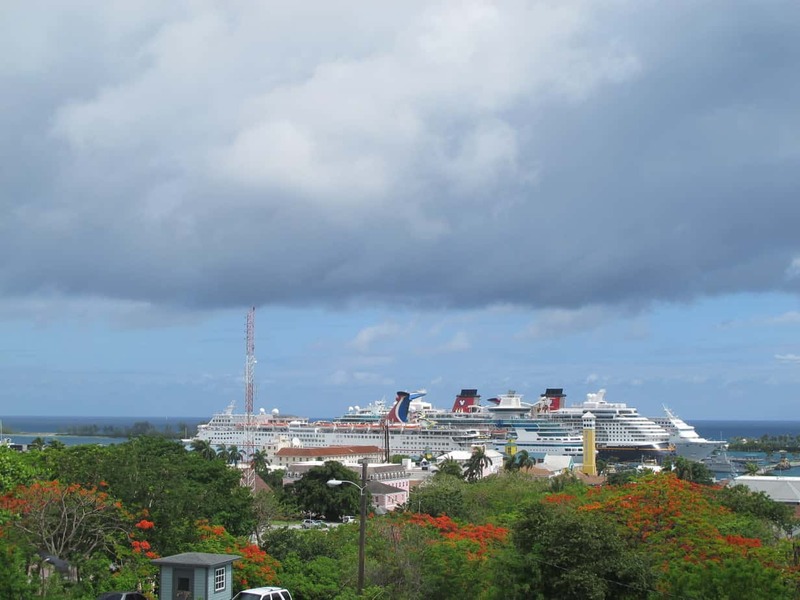 It also offers the best viewpoint to see all of Nassau. 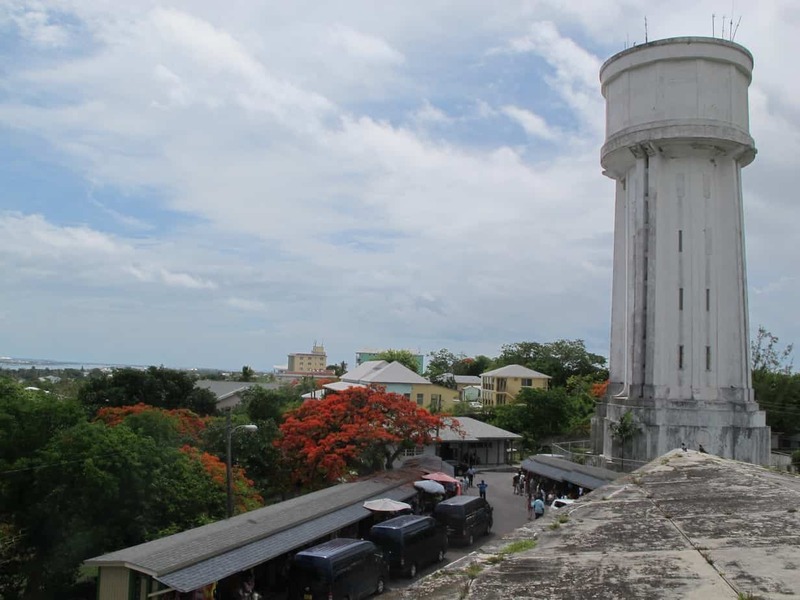 The Water Tower right behind the fort is the highest point on the island. Fort Fincastle is unique because of its shape, as it is built to resemble a ship. 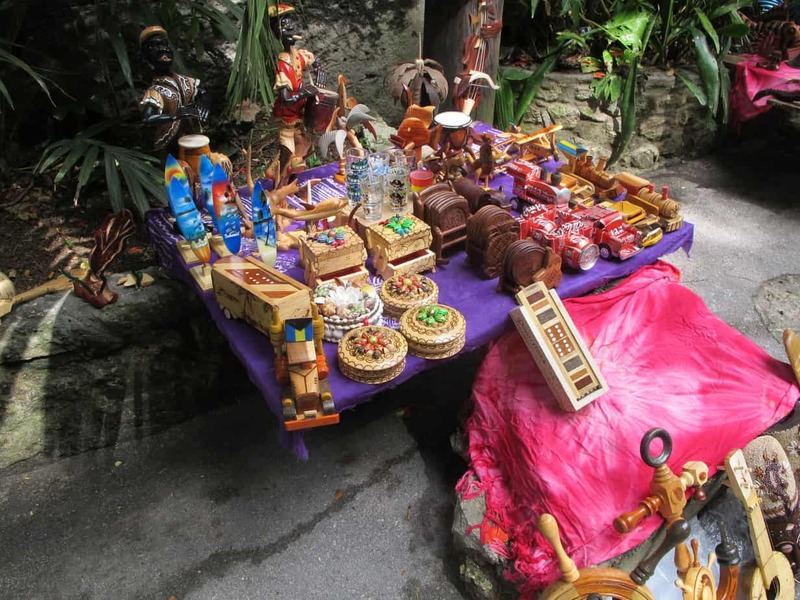 It is $2 to tour here, and you need to bring small change with you. 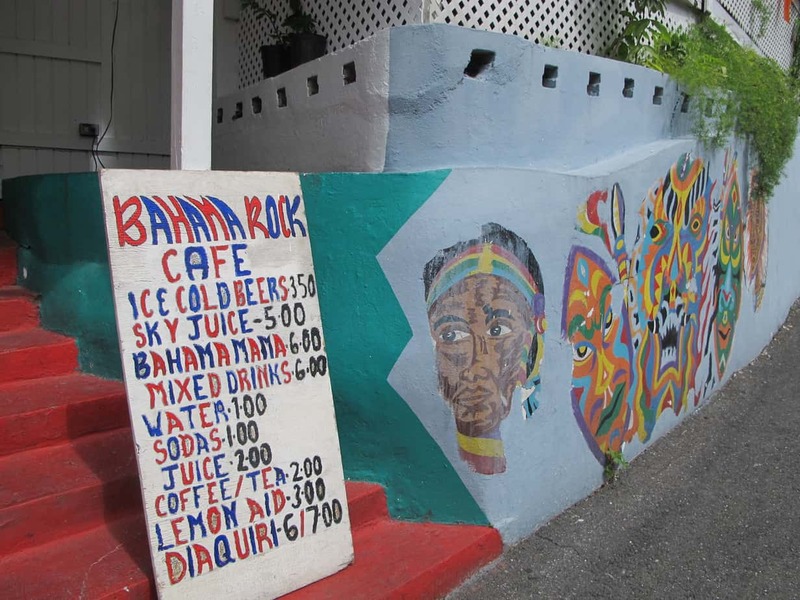 Since you’re here already at Fort Fincastle, stop in to the Bahama Rock Cafe, located right between the top of the Queen’s Steps and the Fort. It’s cute, locally owned, colorful, and the drinks (and food!) are plentiful and cheap. 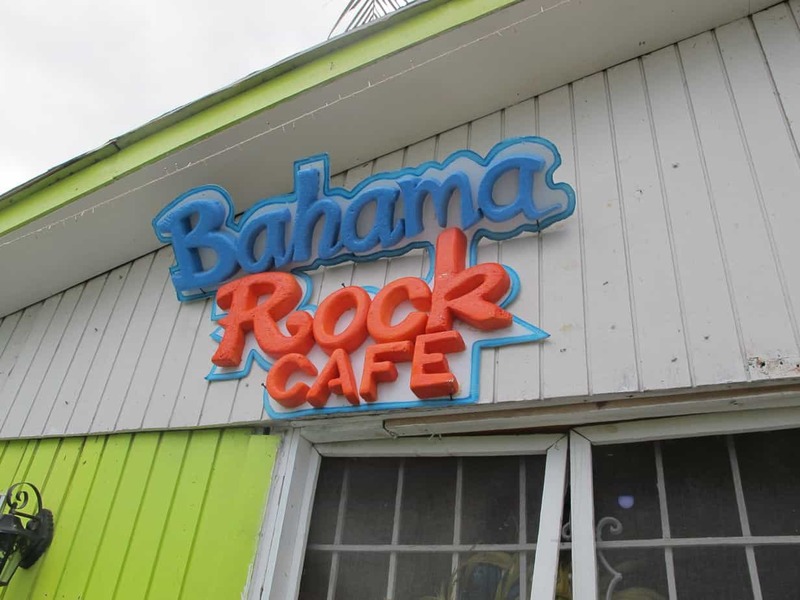 For more details on my experience at Bahama Rock Cafe, you can check out my post on the best Nassau bars for a cruise stopover. Okay, this one is definitely a tourist trap, but it’s worth it!!! 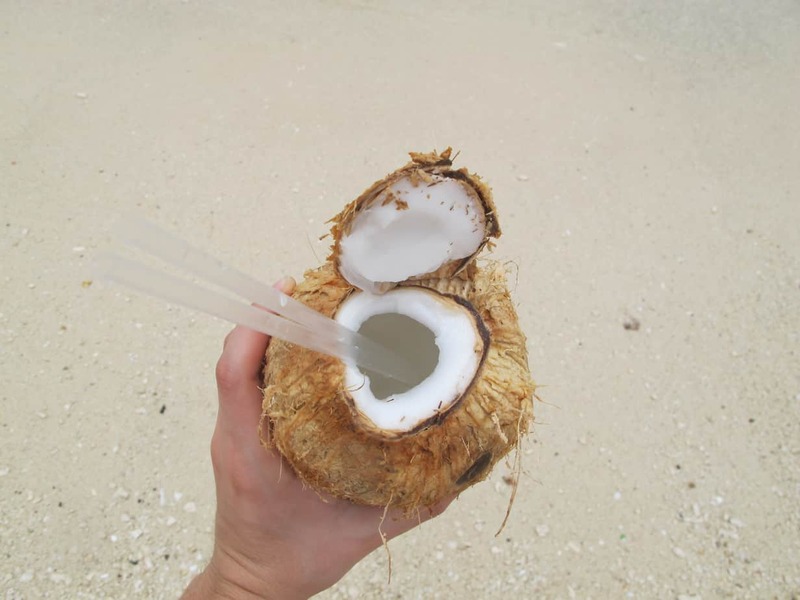 Who wouldn’t want to see a coconut chopped open in front of them and then drink the sweet and salty coconut water out of it on a hot, blue day by the Bahamian beach?! 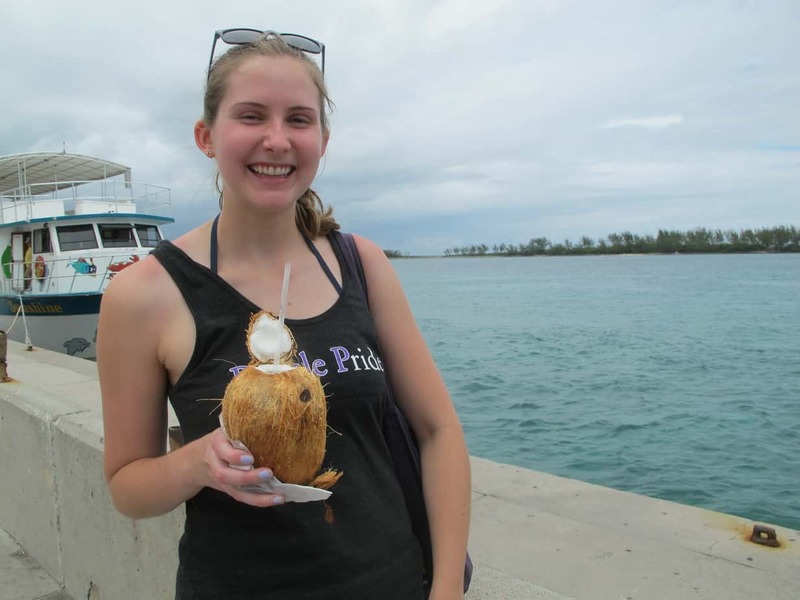 Liz and I paid $5 total to share a coconut from a stand on the Bay Street walk from the cruise port to Junkanoo beach. It was definitely enough for me as I loved the novelty more than the actual taste. I wholeheartedly recommend Junkanoo beach because it is 1) the closest beach to the cruise port 2) free, and 3) not too crowded. 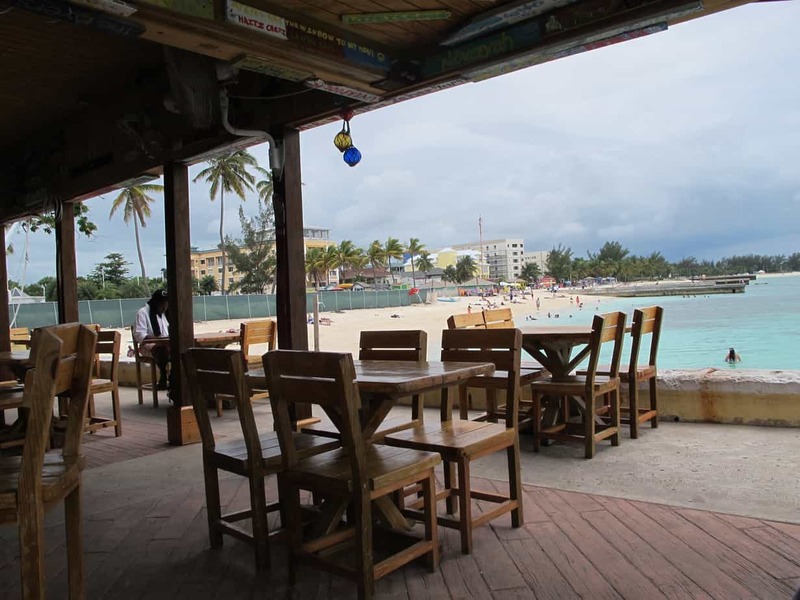 Believe it or not but a lot of the other beaches in Nassau are NOT free, so don’t get tricked into taking a cab ride across the island just to pay more money to go to the beach. 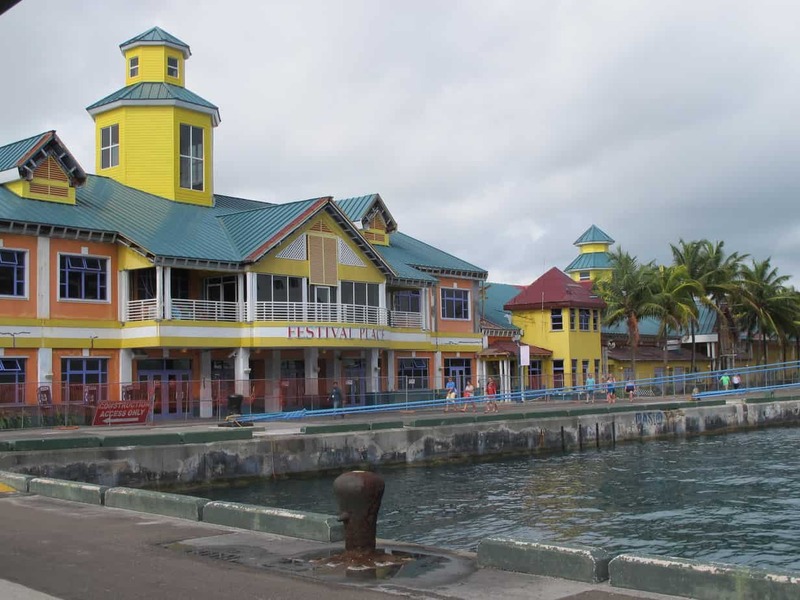 Simply walk west down Bay street past the cruise port and you will end up with crystal clear turquoise water, coconut and massage stands, soft sand, beautiful shells, and long piers to walk out and look at the water. 7. 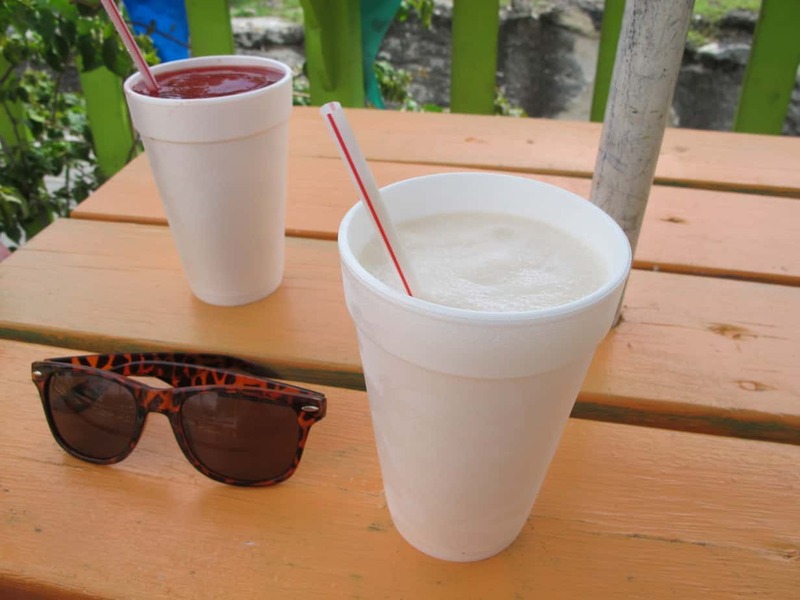 Fat Tuesday: lunch, drink deals by the beach, and night life! 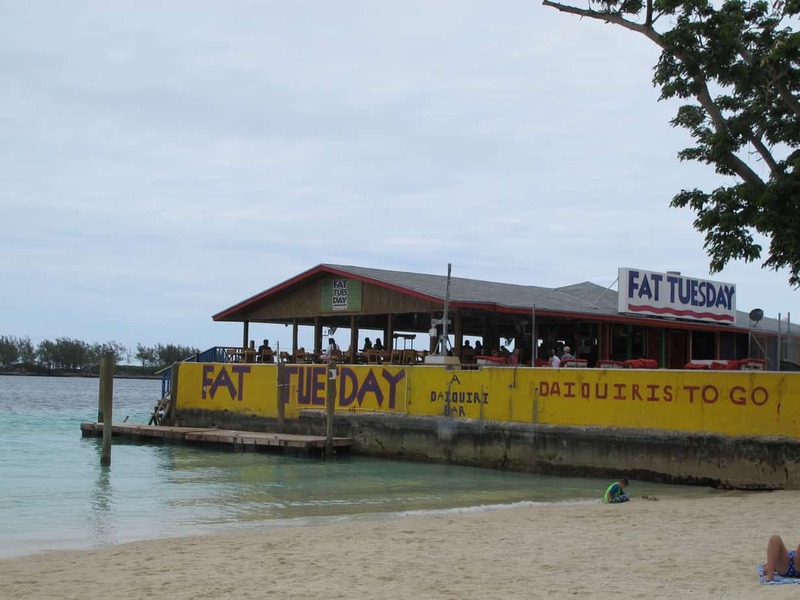 While Fat Tuesday might be a chain, the Nassau Fat Tuesday didn’t feel like it. 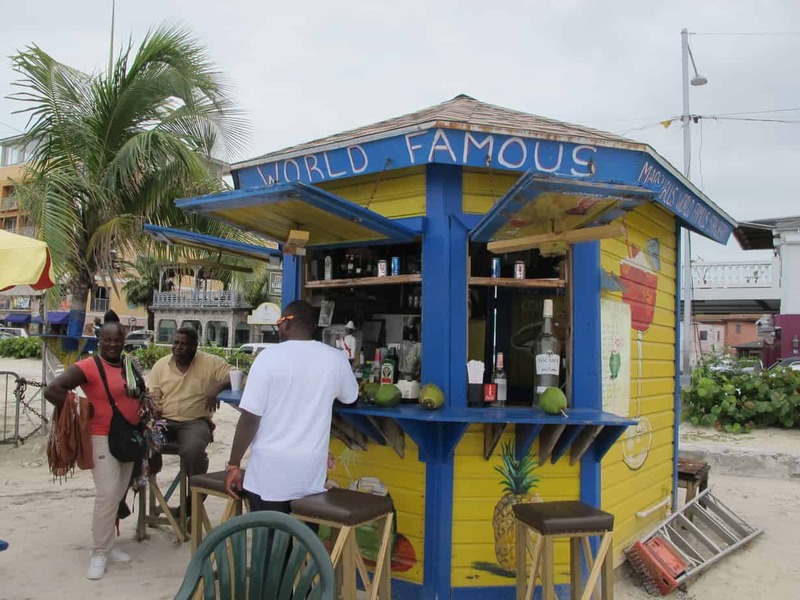 With ocean views (the restaurant/bar is literally over the ocean), tons of locals frequenting it day and night, and amazing daiquiri deals, it felt very Bahamian. 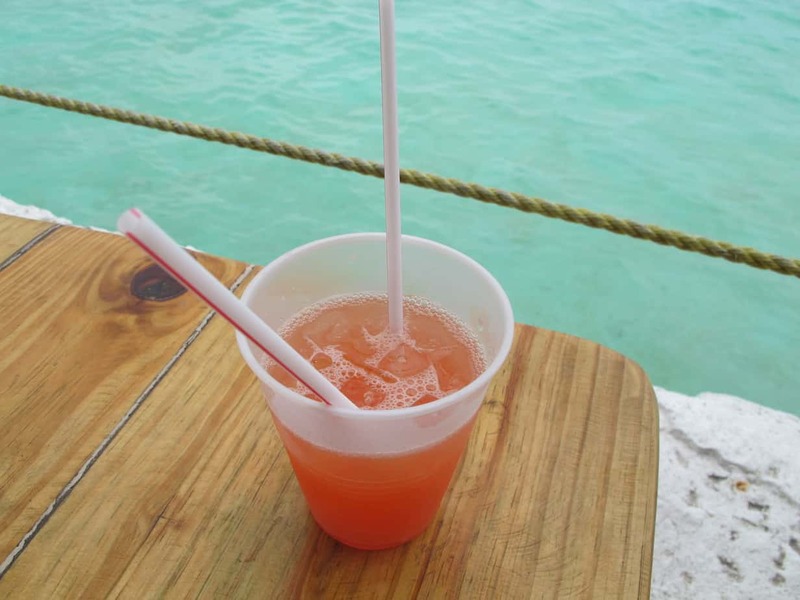 You can read my post here about my experience with the Nassau Fat Tuesday, including free drinks, afternoon sun break, and a night out! Stay tuned this week for more tales and tips from my adventure in Southern paradise! Want to extend your stay? Book a stay in Nassau or Miami with me! This post is now available to download on GPS My City for free here, with the option to upgrade to GPS! This post may contain affiliate links – using these links comes at no extra cost to you, but may help me maintain the running costs of Endless Distances.